From early in his career, Ed Fraschetti has been an innovator in the Baking industry. From his first machines when he was in his early 20’s, his inventions included scoring machines, conveyorized storage and retrieval systems, dough handling systems, elevators and more. Currently, Ed is outsourcing resources for manufacturing and engineering while heading up all details and designs. Call Ed to discuss your options. Fraschetti Consulting & Sales LLC designs predominantly for the bakery and food processing industries. We specialize in the design & build of standard and custom-automated equipment & systems, specialty bakery equipment, bread scoring machines, and conveyors. In addition we offer consulting services for facility layout and design. Our focus is to assist our clients in increasing profits by reducing operating costs, increasing output, reducing waste, and producing a superior looking product. With the combined efforts and vision in developing cutting-edge technology for the baking and food processing industries, the company is where it stands today: A LEADER IN THE INDUSTRY. We offer a variety of models and configurations to meet your specific needs. 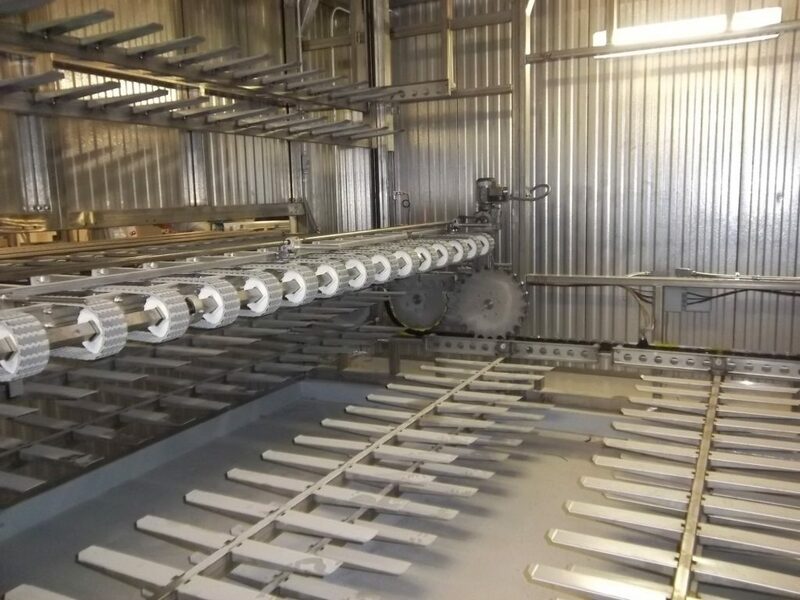 Whether it is fitting a bread scoring unit over your existing production line or providing a complete bread scoring system with specialty conveyors, we can create the right system for both large and small production lines. Our scoring machines incorporate long-lasting, low maintenance designs with extended blade life (not razor blades), and include quick change cutting head assemblies. This allows for faster changeover when switching product runs.